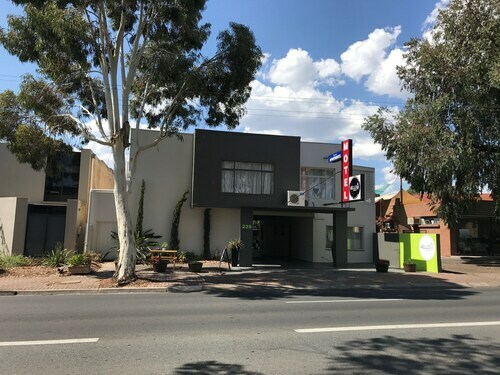 Situated in Frewville, this motel is within 3 mi (5 km) of Adelaide Central Market, University of Adelaide, and Rundle Mall. Adelaide Botanic Gardens and Government House are also within 3 mi (5 km). 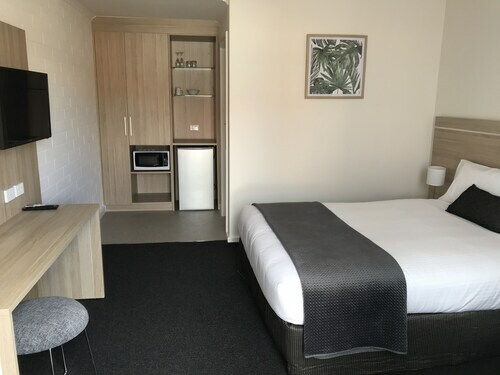 Situated on the Strip, this motel is within 3 mi (5 km) of Burnside Village Shopping Centre, Rundle Mall, and Victoria Square. Adelaide Central Market and University of Adelaide are also within 3 mi (5 km). 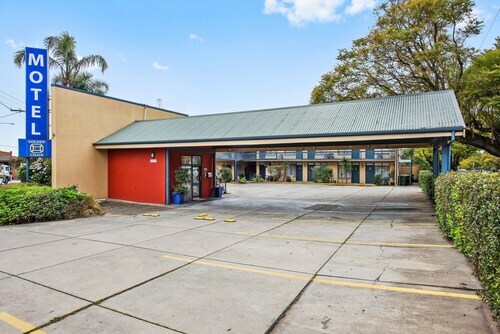 Situated in the suburbs, this apartment building is within 3 mi (5 km) of Burnside Village Shopping Centre, Rundle Mall, and Victoria Square. Adelaide Central Market and University of Adelaide are also within 3 mi (5 km). 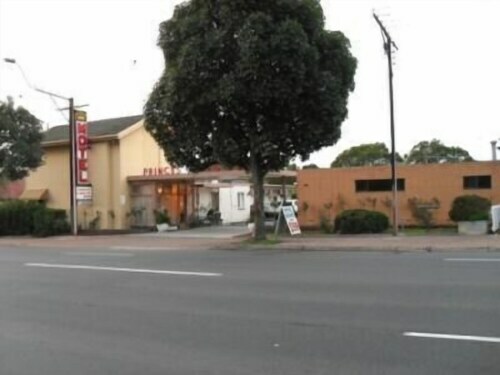 Situated in Frewville, this motel is within 3 mi (5 km) of Burnside Village Shopping Centre, Rundle Mall, and Victoria Square. Adelaide Central Market and University of Adelaide are also within 3 mi (5 km). If you are in South Australia, visit the state capital, the city of Adelaide and swing by the vibrant area of Frewville, situated 4 kilometres southeast of the central business district. If you're spending time in Adelaide, don't overlook the Victoria Square, Government House and Rundle Mall. Fashion lovers will enjoy the high of a new buy at Burnside Village Shopping Centre. The Apartments On George and Arkaba Hotel are great if you'd like to sleep close by. Adelaide Parklands is a great spot for a relaxed afternoon walk. If this attraction is more your kind of thing, check out the Clarion Hotel Soho and Quest on Franklin. Get out of bed early and treat your tastebuds to a steamy cup of coffee at Sugar Shack Diner. This beloved Frewville cafe will guarantee your day starts off on the right foot. After you've ticked everything off your list for the afternoon and your thoughts start drifting to dinner, why not check out the menu at Adelaide Royal Coach? This local favourite plates up a selection of nourishing meals that you'll be sure to enjoy. No worries if you can't locate the perfect Frewville hotel deal. You will find more places to kick your feet up in the Glenside hotels guide and the Wotif Fullarton hotels guide. Glenside is 0.4 kilometres from Frewville and Fullarton is a kilometre away from Frewville. Frewville offers travellers plenty to do as well as great places to stay. Come on, you know you deserve a break, so when it's time to discover Adelaide or anywhere else in this incredible world of ours, Wotif will get you there, on time, on budget and in style. How Much is a Hotel Room in Frewville? Hotels in Frewville start at AU$77 per night. Prices and availability subject to change. Additional terms may apply. Location is great for us and the restaurant downstairs is great. Great parking facilities too. The rooms were a bit dated and being on the ground floor with windows facing a parking area it was a little noisy with cars parking and funnily enough we could smell fumes even when the windows weren't open. Excellent location. Close to everything in the city. Beautiful room with great views over Hindmarsh Square and city lights.